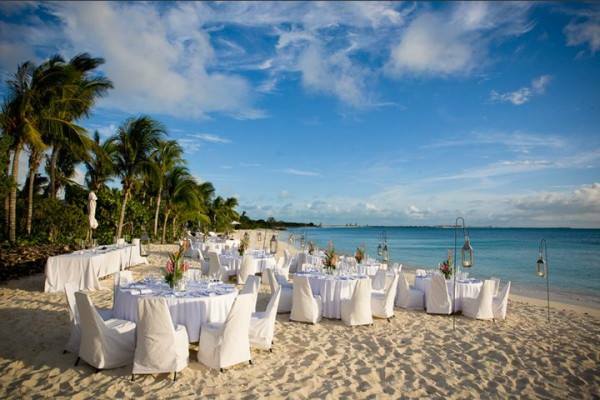 A beachfront wedding venue is really what most brides and grooms dream of, there is something about a beach wedding or a wedding with a sea view that is very romantic and fun at the same time. Your wedding venue is a very important decision, after all, it is where you will celebrate the most important day of your life. So you have to choose your wedding venue carefully and take into consideration all the details, such as budget, weather, space, and more. Choosing the right wedding venue is never an easy choice, brides and grooms tend to go visit a few venues before deciding on the right one that suits them. If you are a couple who is getting married in Lebanon, you are in luck! Because this beautiful country will take your breath away with its unique and various venues and locations that are every bride and groom's dream. Historically Known as the windmill colline at Okaybeh Keserwan, Les Talus provides an authentic venue spread on a 25,000 sqm surface with a romantically beautiful setting for any kind of private or public, casual or formal occasions you may have. Its multi-level architecture, as its name shows, gives enough privacy to each area, building on the guest’s curiosity while moving from setting to setting throughout the phases of the event. Its Unique astonished open space view between 2 green mountains and in front a large horizon sea view that can be seen at any level of the venue where guests will be enjoying the extraordinary weather at an altitude not exceeding 340 meters from the sea. Located in the heart of Dekwaneh region- Mar Roukoz, away from the chaos of the city, the exquisite Pleine Nature garden extends over an area of 2500 m2 covered in green foliage. With surroundings that take you to the natural world and a view that reminds you that you're just a few minutes from the city. The venue evolved to offer you high-quality services that guarantee a complete event. 3 marvelous landscaped areas have been designed to host the weddings, in addition to the Reception Plaza which welcomes the guests. The Drink Area allows you to sip some of the best cocktails while the Ceremony Area is where the fun begins! A bridal dressing room is also available to give the bride and her maids the privacy they need. The "Michael garden" which is known to many people as a large refreshing space surrounded by verdure is located in kfarhbeb-Ghazir, Lebanon. It was launched in 2007 as a wedding venue, and for an outside wedding ceremony, "Michael garden" is the picture of perfection. The Mediterranean mountainous overviews and the surrounding manmade waterfalls make a gorgeous backdrop for your wedding party. It's an elegant imposing renaissance site well sculpted that beguile your imagination. A fabulous fete on a mountain top where lush green lawn surrounds your party, with a special sea side scene well merged with green springy lands of old Lebanese nature. It's fascinating, royal and unique, it's your commitment to life, it's where your wedding dream comes true, its Michael garden. They are veterans of the industry with over 20 years of experience. They also have photographers, caterers, florists, light & sound engineers, and organizers all dedicated to making your wedding a success. Upcoming Events Section Ocean blue plays host to some of the most stunning weddings, beach parties and meetings in Byblos. From enchanting ceremonies to extravagant banquets and intimate parties. When it comes to weddings in Lebanon, Ocean blue is the ultimate destination. Who doesn’t need some downtime to relax and unwind? You’ll be pampered with luxury at Janna Sur Mer- the best Tropical Beach Resort in Lebanon. Overlooking the Mediterranean Sea, this 5-star resort boasts 2 international restaurants, Jacuzzi bars, outdoor wedding venues, and a beach Hotel. In short, Janna Sur Mer is a tropical-themed beach resort with 6 pools for you to enjoy and relax. Janna Sur Mer has 3 outdoor wedding venues to host your wedding event. They will set your wedding ceremony in an outdoor fantasy Polynesian island venue or on the beach venue or in an outdoor exotic tropical garden. Janna Sur Mer Beach Resort and Hotel will organize and execute your dream wedding at an affordable price.